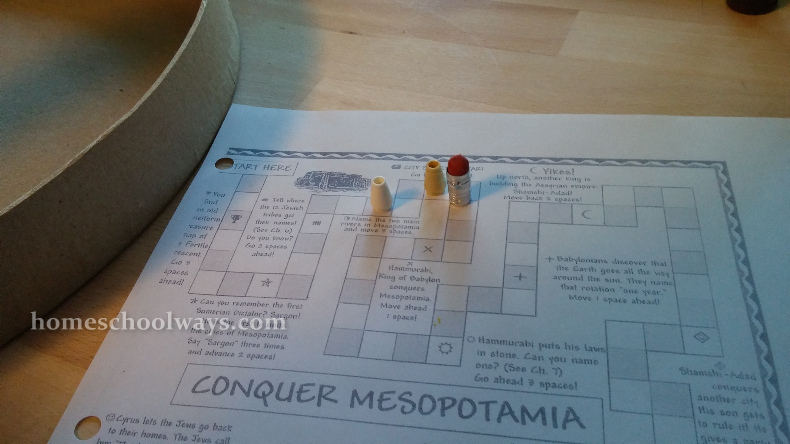 We played the Conquer Mesopotamia Game. 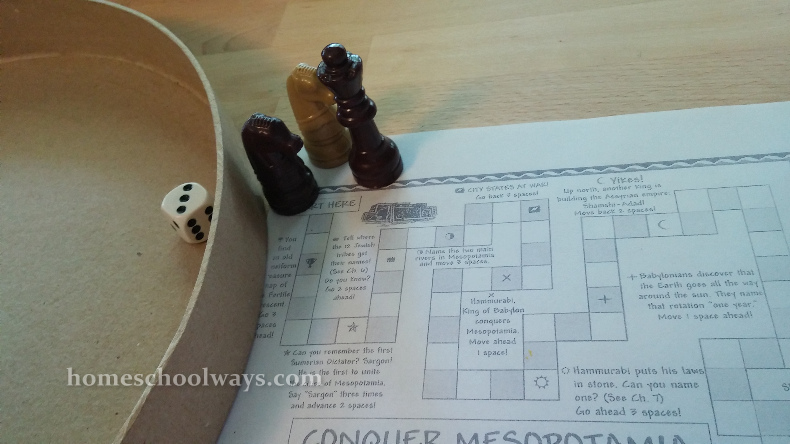 Take it from me… If you want to play the Conquer Mesopotamia Game, definitely print it out enlarged, as directed in the Activity Book. As you can see, our chess figures were way too big for the 8 1/2 x 11 page I printed it out on. 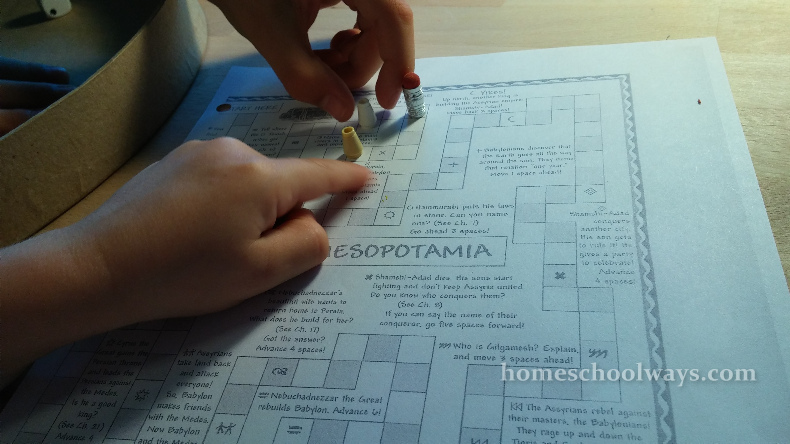 Even when we switched to small LEGO pieces and a pencil eraser, we still had a hard time moving around the board. We got to about place #20 before they tired of the small page. My son ran to get Sorry. 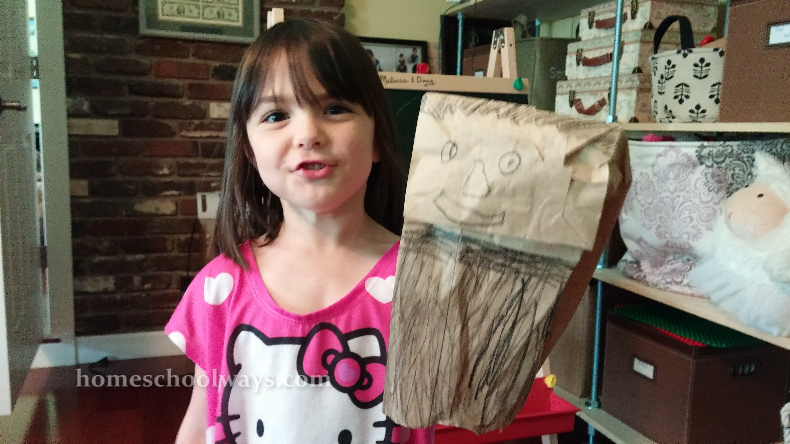 I had a phone call and excused myself. When I came back, they were arguing about how to play Sorry. I declared a recess and sent them outside. Thus ended a very enjoyable history lesson.